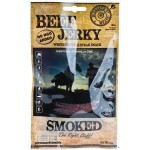 a Deer Jerky and a Wild Boar meat! 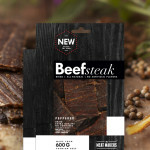 Beefjerkystock.eu’s goal is to provide every customer with the best selection of beef jerky products and unique snacks. 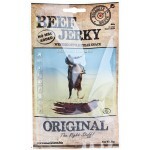 We’re also the premier jerky site for exotic jerky such as Reindeer, Paleo, Elk, Codfish, Wild Boar and Bear. We provide a user-friendly site with a checkout process that guarantees every transaction to be fast, safe and secure. Shop around and get social with us on Facebook, Google+, LinkedIn and Twitter to see what we’re doing next. 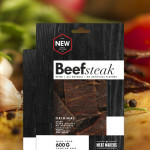 Beefjerkystock.eu is a retailer of the best brands of beef jerky: Bullseye Meats, Cruga Biltong, Indiana, Jack Link’s, Linnamäe, MSDM, SirLoin, Snakit, The Meat Makers, Tornedalens, Torrido and Wild West. 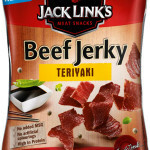 We ship a beef jerky to every country in European Union (Austria, Belgium, Bulgaria, Croatia, Cyprus, Czech Republic, Denmark, Estonia, Finland, France, Germany, Greece, Hungary, Ireland, Italy, Latvia, Lithuania, Luxembourg, Malta, Netherlands, Poland, Portugal, Romania, Slovakia, Slovenia, Spain, Sweden and United Kingdom). 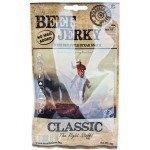 Top Seller: Hell of Fire -box is full of spicy beef jerky! 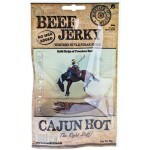 Hell of Fire -spicy beef jerky box includes the hottest beef jerkies that we have! 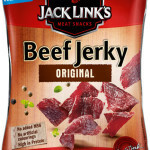 Chili, cayenne, habanero and ‘course the combination of hot and sweet beef jerky. Ahhhhhh, enjoy! New Trend: Paleo Diet! 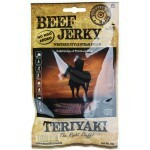 Have you tried a paleo jerky? Here’s the ENTIRE diet in a nutshell: If a caveman didn’t eat it, neither should you. Some say the Paleo Diet is the healthiest way you can eat because it is the only nutritional approach that works with your genetics to help you stay lean, strong and energetic. 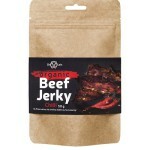 Others just open the pack of Paleo jerky and enjoy the meat! The Reindeer is the best! 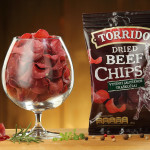 Famous Tornedalens Reindeer Jerky is alder -smoked and air-dried reindeer meat snacks from pristine landscapes of the Arctic Circle. The best dried reindeer meat what our jury have tasted. Old Lappish storage methods have been used in the manufacture of the product: salting, smoking and drying. Contains no artificial preservatives. 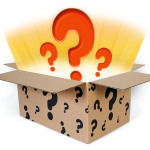 Product processing is based on old and partly forgotten storage and preparation instructions.